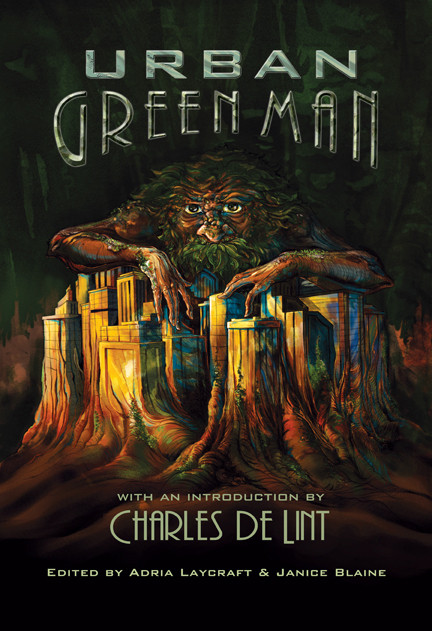 A review of Susan J. MacGregor’s Evergreen (in Urban Greenman. Edited by Adria Laycraft and Janice Blaine. Edge, 2013). The quest for self-discovery can be painful and difficult and often people who seek to discover themselves encounter questions that they don’t want answered, murky areas that they fear to look too deeply into. When Cat’s grandmother does a card reading for her, she shies away from the tough parts of the future that are revealed. She doesn’t want to reveal that she is conflicted about her future, and she is unwilling to peer too deeply into what her future can hold – should she go to law school or get a government job until she figures herself out? She is still sorting through her values and fears the transformative potential of making a decision too soon…. But, decisions sometimes occur when we least expect them to, when events coalesce around us and push us into an avenue we least considered. As Cat’s grandmother predicts, she is pushed by circumstance into a meeting with a man who will change her life and cause her to question her relationship to the world around her. She is asked to explore her roots… literally, and is transformed into a tree by her new companion, able to question her relationship to the world around her and explore her values. He seeks to transform her into a tree in order to paint her suffering, to explore the human intersection with the environment and evoke human compassion for our natural world… but the lack of compassion that already exists means that workers try to clearcut the forest that Cat has been entreed in. In order to save herself, she must question the logic that she has applied to her life, her relationship to the natural world, the ideas she has taken for granted, and eventually determine her future’s course (if she survives to have a future). Sometimes we need to transform literally to transform our way of thought, and Cat discovers that she needs to become something else to discover what she wants to become. To read more about Susan J. MacGregor, visit her website at http://suzenyms.blogspot.ca/ .